STAND UP FOR THE SACRED! 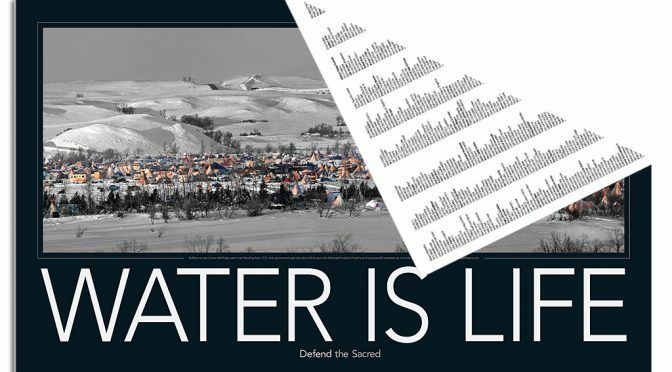 For the next edition of the WATER IS LIFE we’ve come up with a CONFIRMED list of names but know that many are left out. Please check the list and make sure your name is properly listed or needs to be removed. 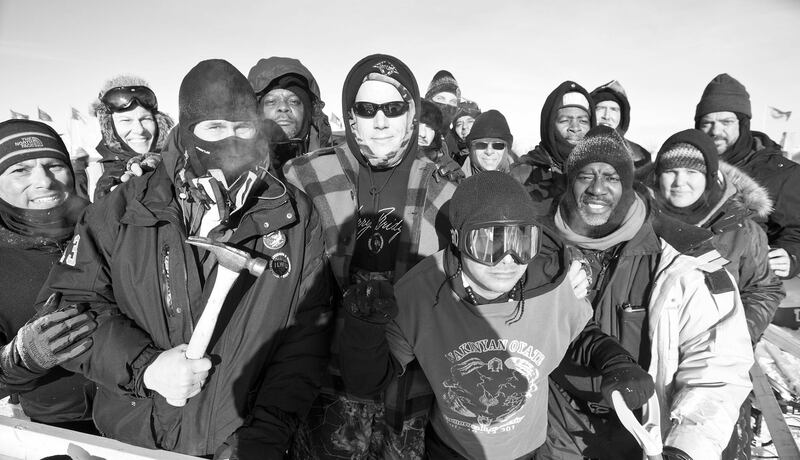 We want to honor those who went to Standing Rock and all those who supported and sustained their sacred stand. A poster is a collectible item and names listed will have a considerable profound meaning 20 years from now. If you would like to be listed simply fill in your name in the form to the upper right under “Sign Our Poster” and if you have friends that are not on the internet and would like to be listed, just leave a message. Please see Final Call for the current list. I was there with the veterans deployment in December. You may add my base to future editions. AHO! I’m not sure, if so I support daily with funds during stand and with merchandise and following and sharing live feeds. Educating and cconstant prayer. WATER IS LIFE! if so Little Running Water is my name. Thank you lovely beings! Your name is on. You’ll have to list the names of your relatives and state that they are aware and consent to have their names on the list. At what point do we order posters and/or cards that WILL include the finalized list of names on back? Don’t want to miss out ordering some but want to make sure the list of names are on back as well. Thank you. I am a small contributor who doesn’t seem to be on the list and I want to make sure I am also a person who has purchased a great momento!